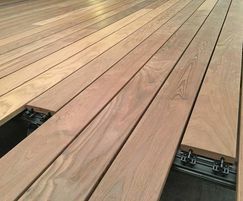 Grad is an ‘invisible fix’ decking system, where the clips are completely hidden under boards rather than being visible between them, as with other products. 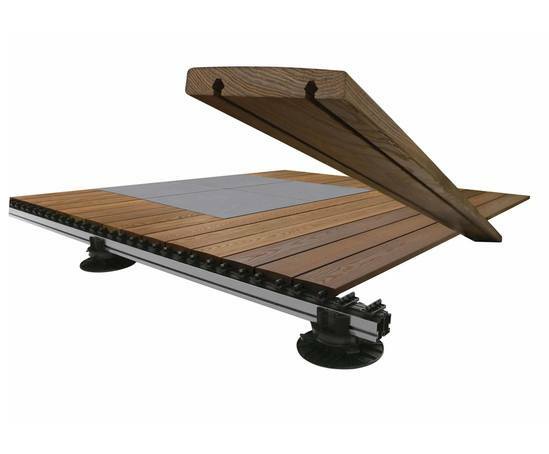 The Outdoor Deck Company supplies the Grad system as either component parts, or as a fully integrated system of pedestals, support rails and specially milled boards. 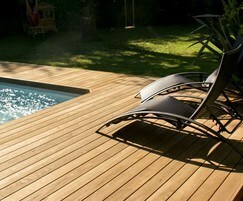 Hidden fix decking has usually involved clips which are individually fitted all along the edge of each board. 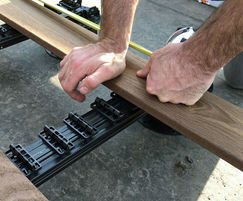 Grad's unique ‘clip grip’ design means that decks can be installed at least twice as fast as traditional methods. Grad clips also grip deep into the heart of each board (and not just along part of the edge) so once locked in place the boards are impossible to dislodge. 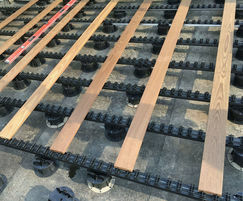 However, when necessary, individual boards can be easily and quickly removed using the Outdoor Deck Company's special tool without marking or damaging the face of the material. 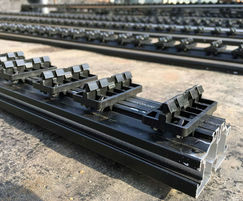 The Grad system can either be fitted onto conventional timber joists, or mounted onto the bespoke support rail system, where finished build-ups of pedestal, joist, clip and deckboard start at around 60mm (at least 30mm lower than a timber frame construction). 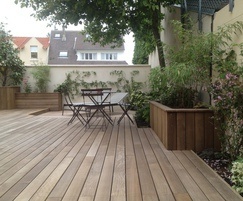 The Grad system can be installed without pedestals with build-ups of just 35mm, which opens up a wealth of innovative design opportunities on many new-build roof terrace and balcony projects. 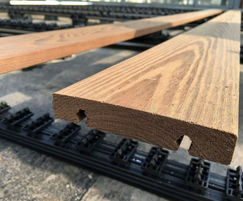 The Grad system offers a choice of fully FSC certificated ‘clip ready’ timber deck boards, available in Thermo-Pine, Thermo-Ash, Kebony and Accoya. 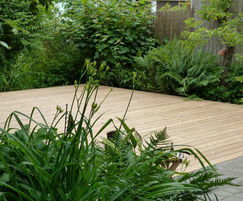 Grad timber deck boards are smooth with a very slightly convex surface which prevents ‘cupping’ of the timber and eliminates the ‘water pooling’ which flat timber boards encourage. 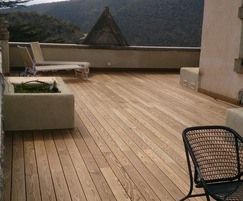 The Grad system also includes two composite boards, both in an organic plank design. One coloured as 'new' timber, one as a 'weathered grey' finish.